﻿ Welcome to ICOT 2017! Music is a fun and engaging form of entertainment. It is also often used by teachers to help students learn foreign languages. In this talk, I will describe how recent advances in music technology can be harnessed to develop language learning applications that might help children, young adults, and adult learners grow their vocabularies, improve their pronunciation, and increase cultural appreciation. We describe two apps that are under development: a karaoke app and a personalized radio app. Our goal is to provide teachers and students with new tools that are engaging, promote joyful learning, and improve foreign language learning & mother tongue retention. Biography: Prof Douglas Turnbull is an associate professor in the Department of Computer Science at Ithaca College located in upstate New York, USA. His research focuses on music recommendation, multimedia information retrieval, and machine learning. He and his students recently launched a personalized radio app called MegsRadio.fm that is designed to help listeners discover talented musicians from within their local communities. You can learn more about this and other creative music technology projects, as well as list of his publications at https://dougturnbull.org. To eliminate the differences between source subject and target subject in EEG-based emotion recognition is a fundamental problem. The major limitation of traditional pattern classification methods is that the lack of domain adaptation and subspace alignment will degrade the performance of cross-subject emotion recognition. To address this problem, we introduce Domain Adaptation Network (DAN) for knowledge transfer in this talk, which maintains both feature discriminativeness and domain-invariance during training stage. A feed-forward neural network is constructed by augmenting a few standard layers and a gradient reversal layer. Compared with five traditional methods, the DAN approach outperforms its counterparts and achieves the mean accuracy of 79.19%. Moreover, we represent a visualization of the features learned by DAN, which intuitively describes the transfer virtue of domain adaptation network. Biography: Prof Bao-Liang Lu received the Ph.D. degree in electrical engineering from Kyoto University, Kyoto, Japan, in 1994. From April 1994 to March 1999, He was a Frontier Researcher at the Bio-Mimetic Control Research Center, the Institute of Physical and Chemical Research (RIKEN), Japan. From April 1999 to August 2002, he joined the RIKEN Brain Science Institute, Japan, as a research scientist. Since August 2002, he has been a full professor at the Department of Computer Science and Engineering, Shanghai Jiao Tong University, China. He is the directors of the Center for Brain-Like Computing and Machine Intelligence and the Key Laboratory of Shanghai Education Commission Intelligent Interaction and Cognitive Engineering, Shanghai Jiao Tong University. His research interests include brain-like computing, neural network, machine learning, brain-computer interface and affect computing. He was the past President of the Asia Pacific Neural Network Assembly (APNNA) and the general Chair of the 18th International Conference on Neural Information Processing(ICONIP2011). He is Associate Editors of the Neural Networks and IEEE Transactions on Cognitive and Developmental Systems, and a senior member of the IEEE. Nowadays, there are more and more people suffering from mental health problems. In addition to the treatment of mental health problems, how to prevent people from experiencing mental illness is an important issue. However, people often neglect that they are feeling down, which finally affects their mood and thus impacts human mental health. This study analyzes and detects the user’s emotion expressions for mood state monitoring of the users. This talk will present a mood tracking software on the smart devices which collects the user’s input data from different modalities. The asynchronous emotion expressions from different modalities, including expressions from speech, text, and emoticons, are fused to determine the conclusive mood state using a long-shot term memory (LSTM). This study collected totally 226 daily mood input data. To evaluate the performance of the proposed method, 5-fold cross-validation was employed. Experimental results show that the proposed method achieved a detection accuracy of 78.36%. Biography: Prof Chung-Hsien Wu received the B.S. degree in electronics engineering from National Chiao Tung University, Hsinchu, Taiwan, in 1981, and the M.S. and Ph.D. degrees in electrical engineering from National Cheng Kung University (NCKU), Tainan, Taiwan, in 1987 and 1991, respectively. Since 1991, he has been with the Department of Computer Science and Information Engineering, NCKU. He became the Distinguished Professor in 2004. From 1999 to 2002, he served as the Chairman of the Department. 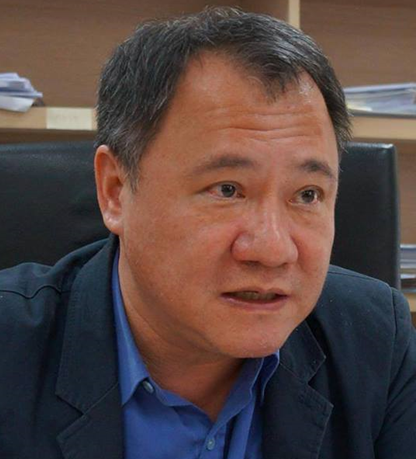 He served as the Deputy Dean of the College of Electrical Engineering and Computer Science, NCKU, from 2009 to 2015. He also worked at Computer Science and Artificial Intelligence Laboratory of Massachusetts Institute of Technology (MIT), Cambridge, MA, USA, in summer 2003, as a Visiting Scientist. He was an Associate Editor of the IEEE Transactions on Audio, Speech and Language Processing (2010–2014) and the IEEE Transactions on Affective Computing (2010–2014). 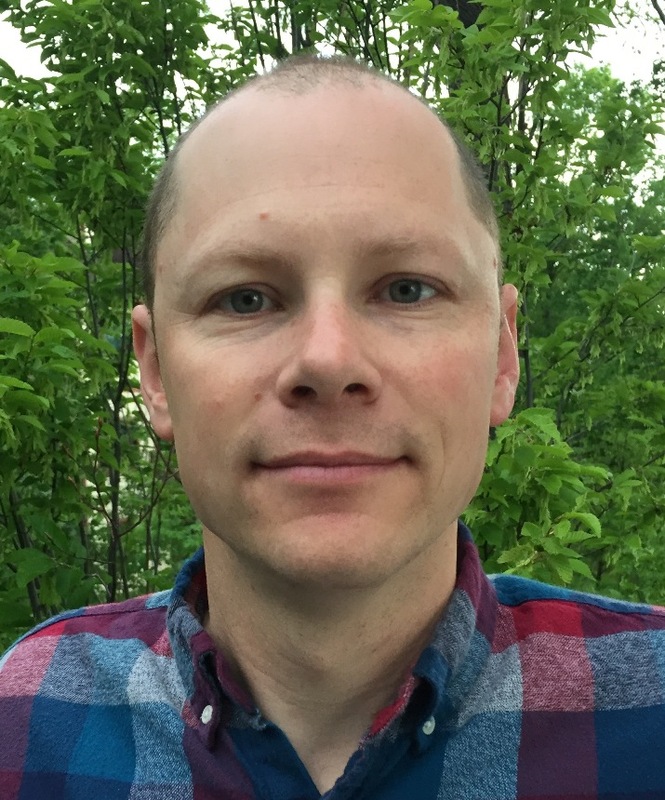 He is currently an Associate Editor of ACM Transactions on Asian and Low-Resource Language Information Processing, and APSIPA Transactions on Signal and Information Processing. He served as the Asia Pacific Signal and Information Processing Association (APSIPA) Distinguished Lecturer and Speech, Language and the Audio (SLA) Technical Committee Chair in 2013–2014. He was the recipient of the Outstanding Research Award of Ministry of Science and Technology, Taiwan, in 2010 and 2016 and the Distinguished Electrical Engineering Professor Award of the Chinese Institute of Electrical Engineering, Taiwan, in 2011. His research interests include affective computing, speech recognition/synthesis, and spoken language processing. Orange Technology aims to advance technology for humanity like the vision of IEEE. In past decade, scholars engaged in promoting Orange Technology have significant progress in substantial concerns of human behaviors and needs in developing technology both in lab. research and industrialization. However, there is knowledge gap of systematic integration of technology and humanity development. In this talk, I would introduce the Design Thinking for Social Innovation as a creative process and integrating framework for practical, creative resolution of problems or issues, with the intent of an improved future result. Design thinking for social innovation integrates empathy for the context of a problem, creativity in the generation of insights and solutions, and rationality in analyzing and fitting various solutions to the problem context. The goal of Design Thinking is "matching people’s needs with what is technologically feasible and viable as a business strategy", which support as methods and process for advancing technology for humanity. Biography: Prof Shyhnan Liou is currently a professor and Chair of the Institute of Creative Industries Design at National Cheng Kung University (NCKU). He also is the director of CUHK-NCKU joint center of Positive Social Science (CPOSS). He was the CEO of the Research Center of Creativity, Innovation, and Entrepreneurship at NCKU. He has served as consultant for many R&D institutes include: Biomedical Technology Research & Development Institute in ITRI, Metal Industries Research & Development Center of Biotechnology. His research areas are mainly on team creativity processing, organizational innovation in both R&D institutes and creative industries, and transdisciplinary collaboration in integrative research. He has published five books on creativity and decision making, and fifty more journal papers and international conference papers. Prof. Liou recently has promoted Positive Social Innovation to seek to seed and grow an innovative and rigorous integrative positive social science that promotes community building; empowerment and rejuvenation; humanized technology; civic virtues; and personal and collective wellbeing. The last decade has witnessed the great development of information and communications technology (ICT) related to wireless sensors networks (WSNs), internet-of-things (IoT), and cyber-physical-systems (CPS). However, these applications are more focused on monitoring environment or objects. On the other hand, using smart wireless techniques for human sensing has attracted more and more attentions in recent years. Sensing and monitoring humans has some special challenges due to the mobility of humans and the requirement of sensing in a non-intrusiveness and privacy preserving manner. In this keynote, I will provide an overview of recent research of wireless human sensing. I will describe a 3-D design classification scheme and the state-of-art of existing works ranging from group detection, localization to activity recognition, breathing monitoring and emotion detection. The future trends and directions will also be described. Biography: Prof Cao is currently a Chair Professor of Department of Computing at The Hong Kong Polytechnic University, Hong Kong. He is also the director of the Internet and Mobile Computing Lab in the department and the director of University’s Research Facility in Big Data Analytics. His research interests include parallel and distributed computing, wireless sensing and networks, pervasive and mobile computing, and big data and cloud computing. He has co-authored 5 books in Mobile Computing and Wireless Sensor Networks, co-edited 9 books, and published over 500 papers in major international journals and conference proceedings. He served the Chair of the Technical Committee on Distributed Computing of IEEE Computer Society 2012-2014, a member of IEEE Fellows Evaluation Committee of the Computer Society and the Reliability Society, a member of IEEE Computer Society Education Awards Selection Committee, a member of IEEE Communications Society Awards Committee, and a member of Steering Committee of IEEE Transactions on Mobile Computing. 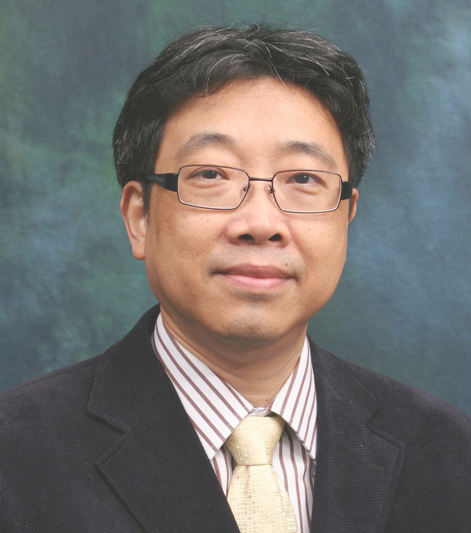 Dr. Cao has served as chairs and members of organizing and technical committees of many international conferences, and as associate editor and member of the editorial boards of many international journals. Dr. Cao is a fellow of IEEE and ACM distinguished member. In 2017, he received the Overseas Outstanding Contribution Award from China Computer Federation. Speech is the primary natural communication means between humans. Moreover, it is the most important bio-signal humans can produce and perceive. Therefore, speech information processing will definitely contribute a lot to the orange technologies and benefit a healthy, happy and warm modern society. Recently, deep learning has revolutionized many research areas, including different topics in speech processing. In this invited talk, I will talk about some latest research activities in speech processing conducted in the audio, speech and language processing group in NPU (ASLP@NPU). Specifically, my talk will mainly cover several interesting research topics, namely, text-to-speech, voice conversion, talking avatars, speech recognition, speech enhancement and separation. I will also point out some promising research directions in these areas. 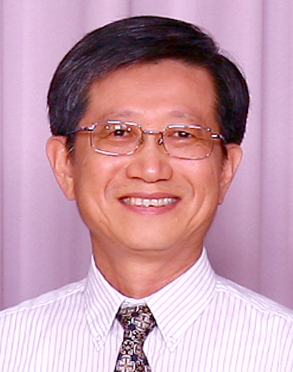 Biography: Prof Lei Xie received the Ph.D. degree in computer science from Northwestern Polytechnical University, Xi’an, China, in 2004. From 2001 to 2002, he was with the Department of Electronics and Information Processing, Vrije Universiteit Brussel, Brussels, Belgium, as a Visiting Scientist. From 2004 to 2006, he was a Senior Research Associate with the Center for Media Technology, School of Creative Media, City University of Hong Kong, Hong Kong, China. From 2006 to 2007, he was a Postdoctoral Fellow with the Human-Computer Communications Laboratory, Department of Systems Engineering and Engineering Management, The Chinese University of Hong Kong, Hong Kong. He is currently a Professor with School of Computer Science, Northwestern Polytechnical University, Xi’an, China. He has published more than 160 papers in major journals and conference proceedings, such as IEEE/ACM Transactions on Audio, Speech and Language Processing, IEEE Transactions on Multimedia, Pattern Recognition, Signal Processing, Neurocomputing, ACL, ACM Multimedia, ICASSP and Interspeech. He has achieved several best (student) paper awards in leading conferences. His current research interests include speech and language processing, multimedia, and human-computer interaction. Dr. Xie is a senior member of IEEE and a senior member of China Computer Federation. He serves as the Vice Director of the Speech Information Processing Technical Committee for the Chinese Information Processing Society of China. He has served as program chair, organizing chair, and program/organizing committee member for various conferences. He serves as the technical program chairs of NCMMSC2011, ICOT2015 and ISCSLP2016. Medicine or Health is currently one of the most popular research areas for big data analysis and AI technologies. AI + Big Data brings the new opportunities and power for health industry. AI + Big Data refers to applying innovative machining learning and data mining techniques in medical data analysis, help improving medical diagnosis and health management. This includes computer added diagnosis, disease risk analysis, cancer identification through medical image analysis, medicine discovery and health management. In this talk, we will introduce some innovative data mining techniques through case studies to address the challenges encountered in e-health and whole-life cycle health management. This includes techniques and development on medical data streams processing, correlation analysis, abnormally detection and risk predictions. Application senories include children’s health, elderly / aging care, ICU monitoring, mentor health, cancer / tumour identifications, etc. 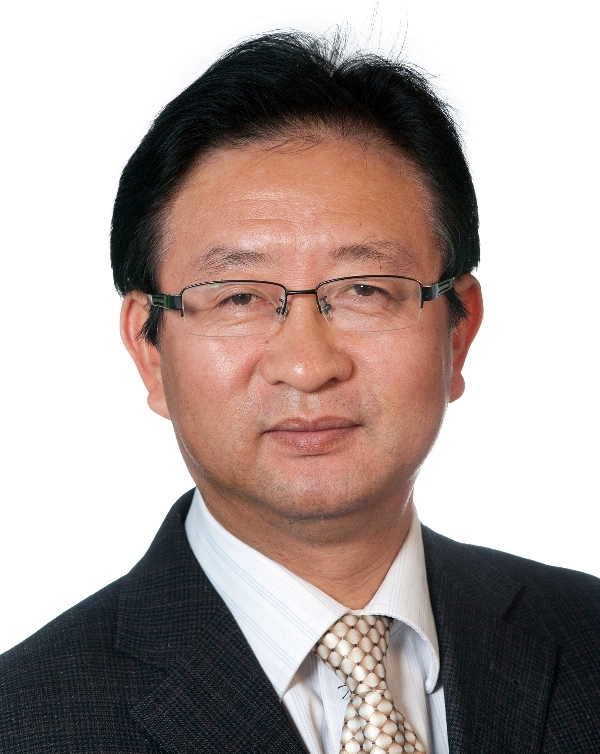 Biography: Prof Yanchun Zhang is a full Professor and Director of Centre for Applied Informatics at Victoria University since 2004. Dr Zhang obtained a PhD degree in Computer Science from The University of Queensland in 1991. 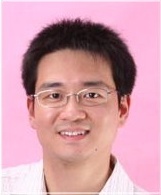 His research interests include databases, data mining, web services and e-health. He has published over 300 research papers in international journals and conference proceedings including ACM Transactions on Computer and Human Interaction (TOCHI), IEEE Transactions on Knowledge and Data Engineering (TKDE), SIGMOD and ICDE conferences, and a dozen of books and journal special issues in the related areas. Dr. Zhang is a founding editor and editor-in-chief of World Wide Web Journal (Springer) and Health Information Science and Systems Journal (Springer), and also the founding editor of Web Information Systems Engineering Book Series and Health Information Science Book Series. He is Chairman of International Web information Systems Engineering Society (WISE). He was a member of Australian Research Council's College of Experts (2008-2010), and also serves as expert panel member at various international funding agencies such as the Royal Society of New Zealand Marsden Fund and National Natural Science Fund of China (NSFC). He is a "Thousand Talent Program" Expert in China (currently with Fudan University).